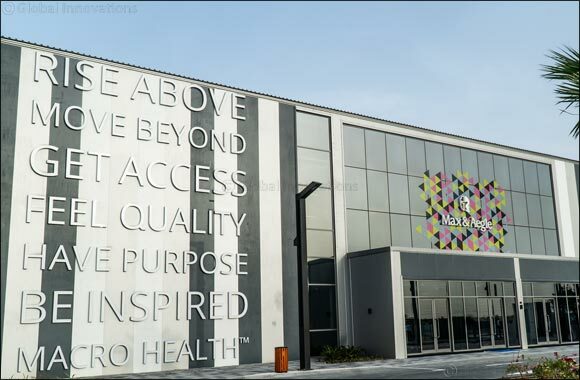 Dubai, United Arab Emirates (6th February 2019): A new and highly innovative concept in health and fitness has been launched in Dubai, which focuses on the principles of ‘Macro Health™', a term which describes a unique holistic approach to wellness. Inside, the fitness area is spread across two floors and boasts designated cardio, weight training and circuit areas, while group exercise classes will be held in dedicated studios for High Intensity Training, Boxing, Yoga and Cycling. Outside, an Olympic size swimming pool, along with the kids' splash pool is set within a landscaped and shaded relaxation deck. There is also a 1,400 metre running track, two dedicated areas for outdoor fitness training and athletics, and a large Yoga lawn offering spectacular views onto the Downtown skyline.